Monday FM On Toast--"Wilde Roots"
Music from the Americas and from around the world. Greg takes you on a musical journey from where you live to points unknown. A concentration on three aspects of classical music occupies much of Monday Classics: American music, music for film, and from 7-8pm, brass band music. The Battles Zone, Mondays 3-6 a.m.
"On The 20th Century Limited"
Being an accountant by trade, I'm expected to be a conservative traditionalist. That's why I play primarily contemporary classical music and unusual interpretations of more traditional works. "Sunday Afternoon at the Opera"
Producer of Gay Spirit, Western New England's longest running radio program specifically devoted to lesbian and gay issues. I have written a book about my radio history: "Annals of Gay Spirit." Host of Sunday Afternoon at the Opera for 15 years. Each program attempts to provide a variety of classical music from various periods, including orchestral, chamber, and choral works, and music featuring various individual instruments. See Bob's host page for more about him. With the spotlight on contemporary big bands, Thursday Morning Jazz is a favorite among listeners who dig the explosive sounds of larger jazz ensembles. Pat Longo's Super Big Band kicks off Mark's show each week, followed by three hours of the best musicians and arrangements going today. Mark has interviewed an impressive array of jazz artists since 1995, and often features them in his "Artist on the Hour" series. The longest running radio program in the USA featuring music from India that is both lyrical & exciting in composition. It offers a new dimension in musical appreciation for the Indian fan and Western listener as well -- including classical, contemporary, devotional and Bollywood music. Hindi is the predominant language used in most songs, while the hosts provide narrative in both English & Hindi. This show presents the facts, issues and unanswered questions surrounding the events of 9/11 that the corporate media won’t cover. This show will inform you of the latest 9/11 news, events, films and books and share speeches and interviews of key figures in the 9/11 Truth Movement. western and cajun to swing. "The Greatest Show From Earth"
The Voice of DeLorenzoid shares air time with The Microwave Brain (of Gary Levin) on the first Sunday of each month, as well as other talented and knowledgeable space-rock DJ's. The focus is on mid-sixties psychedelic, progressive rock and electronic music (full spectrum). Sunday night is your night to travel back in time with the night sky and your radio, let the TELTAN System staff take you on a mind bending 3 hours. Interviews, specials, live music, recordings old and new and much more. Listen to the quiet voice. Visit Teltan online at the teltan.org home page for The Greatest Show From Earth and Ambience. Play lists, info, and more! Irish, Scottish, Welsh, Breton music, traditional and contemporary. Producer of the Celtic Concert Series benefit concerts for WWUH. Kenneth Dowst has been a radio fan since 1960 (age 10), an on-air voice 1971-1972 (in college) and since early 2008 on WWUH. His day jobs have included English professor, technical writer, and freelance writer/editor. An enthusiast and producer of Public Affairs radio programming, he tries to combine a Progressive perspective on the issues with judiciousness and a sense of humor. His "New World Notes," produced here, is broadcast by three stations in the U.S. and one in England. He does his best to stay on the good side of the ghost of his predecessor in the Tuesday-noon timeslot, the late George Michael Evica, of "Assassination Journal"--whom he feels looking over his shoulder from time to time. The Lithuanian Hour (Tevynes Garsai / Sounds of the Homeland) is hosted by Alex Saulius Dzikas. 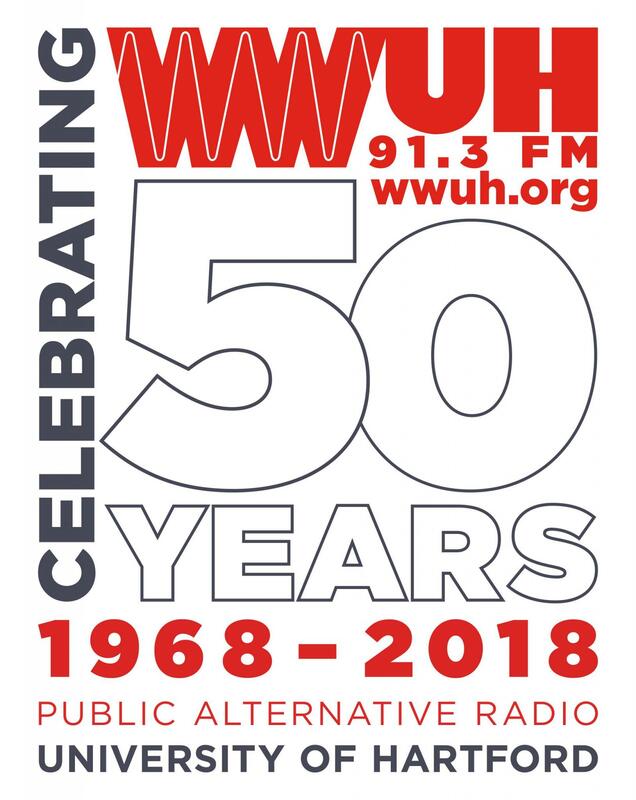 The show has been on various Hartford radio stations since 1957 and here at WWUH since 1991. After helping out his dad Alfonsas with the show from time to time for many years, Alex took over the show full-time after his dad passed away in 2008. Alfonsas had been an announcer since 1964 and director of the program since the late 1980’s. Tevynes Garsai features music, news and culture of Lithuania as well as the latest happenings from the local Lithuanian community. Brian plays folk music from the rest of the world - African, Latin, Flamenco, Native American, Asian music and much more. The show's motto is "World Peace Through Cultural Celebration". 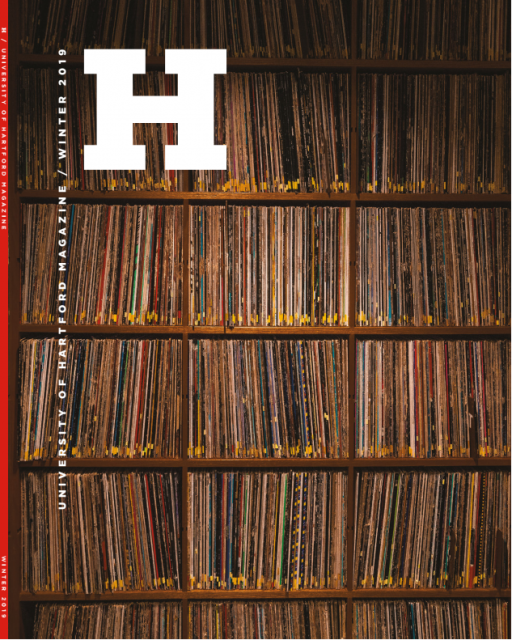 When not on the air, Brian writes reviews for Rhythm Magazine. Susan Forbes Hansen joined WWUH in 2001 as fill-in host for FM on Toast and as the Folk Phone producer. She has hosted folk-music-based programs in CT and MA since 1979, and plays whatever SHE thinks works. Her preference is for smart lyrics about real issues set in well-thought-out melodies, but sometimes two-out-of-three is okay too. Her photographs have appeared on the covers and/or booklets of several recordings, and she has contributed a few articles to Sing Out! Magazine and the late Black Sheep Review. Sam is a mystery to us here at WWUH. Although we do hear him co-host with Kevin O'Toole every Sunday at 8:00pm, we've never actually seen him...and no photo of Sam has ever been successfully developed. Harvey has hosted various jazz programs and co-hosted the "Streetcorner Serenade" oldies show during his long tenure at WWUH. "Rock 'N Roll Memory Machine"
A Sunday night tradition, with over 1,200 shows aired by the same host "Wild" Wayne and thousands of memories later, we're proud to be New England's longest running oldies radio program. Formerly hosted "The Punk Rock Cafe". This program offers music from Jamaica, Trinidad and other Carribean Islands. We also deal with current issues and events - both locally and abroad. Both hosts, Rohan and Phillip Mitchell (see his listing), are University of Hartford graduates. Italian educational and cultural program. Special programming mixed with Italian music. Italian music from classical to rock. Longest running non-commercial Italian language radio program in the U.S.A., including weekly sports & news from Italia. Tony is joined each week by co-hosts Carlo Magno (joined WWUH in 1985) and Mario Grietti (joined WWUH in 1993). There’s too much great music being created in the world every day to listen to the same things over and over. WWUH has blessed me with the opportunity to hear all kinds of creative sounds and explore new ways of presenting music. Whether challenging progressive rock orthodoxy in the late 70’s or doing bluegrass fill-ins in the 80’s I’ve always strived to bring together differrent styles and communities. I’m always trying to learn more about where music comes from - its roots and important innovators - as well as where it’s going. Doing jazz programs comes naturally, since it's a diverse musical world in and of itself. When everything clicks, the music flows from one style, era, culture or feeling to another. The "Father" of the Folk Next Door concert series. Ed hosts our most unusually progressive and eclectic folk show. The show features straight ahead jazz with some big band and progressive. I've been a jazz fan for 25 years. Walt has been a regular at WWUH for decades and has served in many capacities. Currently he hosts Wednesday Synthesis. West Indian Rhythms is a blend of music and information straight from the Caribbean - a rich mixture of calypso and reggae served up with news and updates dished out weekly. DJ Magnum hosts from time to time. I attempt to capture the diversity of the modern jazz realm, focusing on local artists, musicians from outside the U.S. and cutting-edge improvisers. I frequently feature interviews with the music-makers. "Call It Thing," with your host, Moondog is a free-form full spectrum show variously described as "all the best of anything at all" and "your weekly load-o-guff". Listen! Plus Kevin and his cohort, Sam Hatch, co-produce Culture Dogs, an hour of movie reviews and muse every Sunday from 8-9pm. Occasional guests may appear -- real and imagined! This show is rated: X (for excellent). Thursday Classics offers a broad range of music from the Middle Ages to the present, highlighting Renaissance choral music and lesser-known works by familiar and obscure composers. Portuguese music, history, news, community affairs and dedications. I've worked both ends of the FM dial. Commercial radio wasn't for me--WWUH IS! My musical tastes are varied: from space to world, rock to jazz, spoken word, found sounds, and tending toward the obscure. My Ambience is "outside the box", and I love The Greatest Show from Earth. As Frank Zappa said, "Music is the BEST." My show encompasses all aspects of improvisational music commonly known as jazz. Momentous music of past eras to the evolutionary, avant-garde. Informational nuggets, interviews and birthday tributes. Thanks for listening. Peter Rost aka "River City Slim"
Thursday FM on Toast, "Pine Grove Blues"
Urged on by Bill Domler in 1983 (? ), Ed took the Tuesday FM-on-Toast slot, planning to play old-timey bands; but after a few shows, he saw an accumulation of Celtic records (yes, all was vinyl) and shifted the focus to his Scots-Irish roots, discovering Welsh and Breton artists along the road to 1988 when he left the air for business pursuits. He's amazed and grateful at the persistent popularity of Celtica in Hartford, due in no small part to the creative and energetic Steve Dieterich, whose westward migration in November 2016 bequeathed this heritage back to Ed. He plans to develop more support for local artists while exploring the widening exposure of Celtic themes in Cornwall, Galicia and other points east. I play a wide variety of music - rock, blues, folk, ambient and jazz - frequent interviews and more. Often I host live performances and interviews by area musicians. 4am-5am: It's My Vinyl -- rare versions, B-sides, 12" singles, and other vinyl oddities that have not yet made their way to CD. 5-o'clock hour: The Band Wagon -- mostly featuring unsigned artists. Hosted "The Boundless Jazz Universe" 1995-2001 (and six years on another area station prior to that); 'UH Jazz Director 1993-2001. Captain Spaak, the only student to ever drop out of the Vulcan Science Academy to bring Jazz to Star Fleet as its first and only Jazz Officer, commands the Starship Ellingtonia. Since, technically, he hasn't been born yet, it would take far too much space to explain how he came to be stranded on Earth in the present age. But as long as he's here he may as well make the best of it...as should you! "The Inner Sanctum" is where dwell the Highest Beings of the tradition, their names too numerous to mention. Special attention is also paid to those who are still among the living, the neglected ones, the young up-and-comers, lots of new recordings shared. Step aboard the starship, we're about to go to Warp 7! from the 40's through the early 60's. Occasional guest "DJs". Ambient, world music, the new electronic music, and rhythmic body rock, with the occasional flashback to classic space and progressive music. Sunday Gothic Blimp Works, "Lost in the Woods"